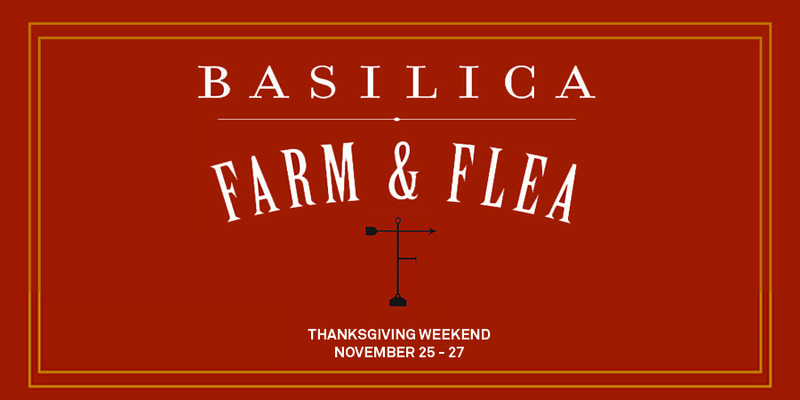 Each Basilica Farm & Flea features a mix of farmers, artisans, local chefs, vintage collectors and other talents, selling wares alongside locally-sourced, farm-fresh foods. If you are interested in vending at our Holiday Market, you must apply by SEPTEMBER 10. Once your application is submitted it will be reviewed by the Basilica Farm & Flea community jury. You will be notified regarding your application status the week of SEPTEMBER 26. Please note that we receive many more applications than we can accommodate; in previous years 50% of all vendors who apply. No late applications will be accepted. Applicants must be independent artisans and designers, or collectors of high quality vintage wares. Our focus is on those who are local to the Hudson Valley, but applications from makers from across the broader area are also welcome.